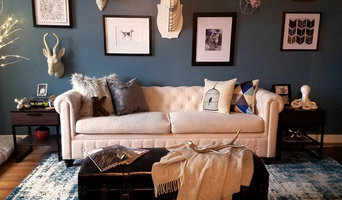 Mky Design is a small firm specializing in unique and individualized projects. Whether the project is a curb appeal , hardscape design or kitchens and baths we strive to listen to the clients tastes and have the design "fit" the house in an appropriate way. *Hunter Douglas Authorized Dealer* Aegean Design Studio is Northern Orange Counties premier Kitchen and Bath Showroom, and Hunter Douglas Blinds, Shades & Shutters Gallery. We'll walk you through everything, from kitchen and bath design to the remodeling process itself! Whether you want to completely remodel your kitchen or bathroom, or update either with refacing and replacing counertops, you’ve come to the right place! Talk with one of our Remodeling and Flooring Specialists to find out what your options are. And if you need blinds, shades and shutters, our Window Coverings Specialist can show you a variety of products that will fit your room and your budget. Our kitchen & bath designers will help you create a personal style, whether you’re traditional or contemporary. We can help you work on a whole room plan, one step at a time. Come visit our showroom today! We are a "Husband and Wife Team" based in HB, serving all of Orange County (including Long Beach) since 2004. Our crew consists of skilled craftsmen, innovators and problem solvers. Jim has over 25 years experience and is a master at his craft, while America is a dedicated project manager with a diligent focus on customer satisfaction. We are fully licensed, bonded and insured and we are dedicated to building quality construction and ensuring that you LOVE the end result! Call us for a FREE Estimate (714) 330-9031 & ask us about the NEW California State Law regarding ADU'S (Accessory Dwelling Units). We can assist you to raise the value of your home with a secondary dwelling. 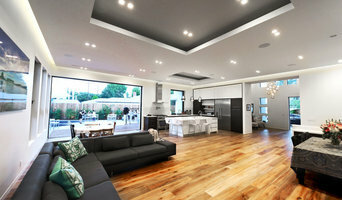 Why do I need a professional who specializes in kitchen and bathroom renovation and design in Long Beach, CA? While looking for Long Beach, CA bathroom remodeling contractors or kitchen renovation experts you may often find professionals who specialize in both rooms. This is because these space have a lot in common. Kitchens and bathrooms include an abundance of fixtures that require careful planning and installation, including sinks, faucets, tubs and toilets that all need water hookups and drainage. They also use similar materials, such as tile and stone for countertops and flooring, due to the nature of their use. So it makes sense that professionals who works on the kitchen remodel and design also works on the bathroom construction or redesign. What do Long Beach, CA kitchen designers or bathroom remodel professionals do? Bathroom designers, as well as kitchen designers in Long Beach, CA, are constantly staying on top of trends in the ever-changing industry. The designers know the best layout for your room, and can configure the layout for optimal functionality and utilization of the space. In the kitchen, the refrigerator, stove, and sink should be laid out in relation to one another, and it should be seamless and easy to move from one to the other. 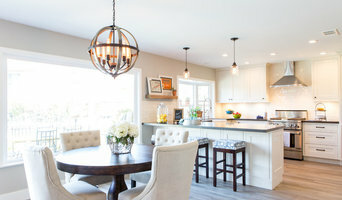 A kitchen and bathroom designer in Long Beach, CA will know how to work with a contractor and architect to plan the flow of the room to work best for your needs. Most bath & kitchen renovations involve architectural plans from page to reality; these contractors are also trained to provide design services so that you don’t have to hire a separate pro. 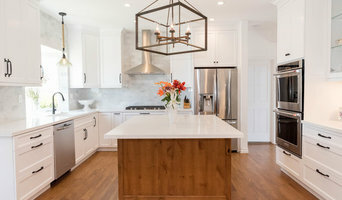 Like a general contractor, a Long Beach, CA kitchen and bathroom remodeling contractor is responsible for hiring and supervising subcontractors and providing materials when necessary. Find a bathroom and kitchen designers and renovator on Houzz. Narrow your search in the Find Pros section of the website to bathroom and kitchen designers in Long Beach, CA. You may also look through photos of spaces to find kitchens or bathrooms you like, then contact the bathroom or kitchen designer who worked on it.